Together, we raised more than $21,500 for our girls at the inaugural CaNUNoli Fest! Old friends and new gathered with Italian food, wine, and to celebrate our students and their future success. The evening featured a sampling of cannoli, an Italian themed raffle, and a little healthy competition. 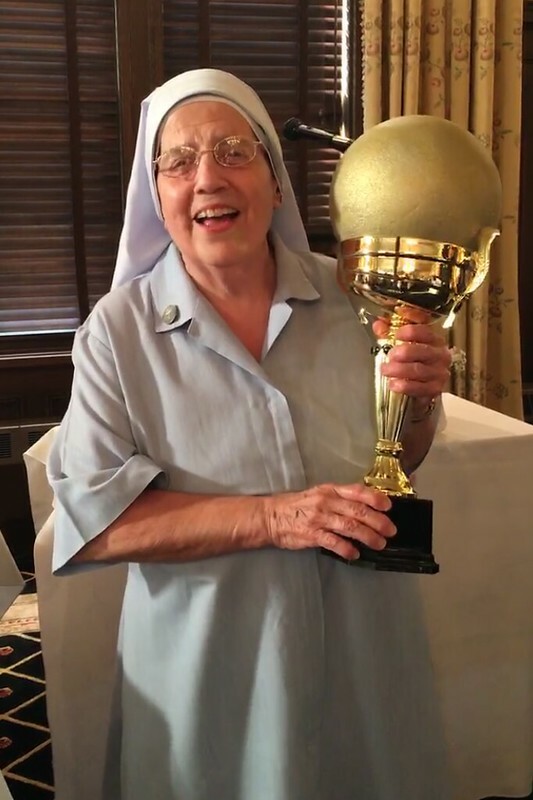 In the greatest nun-sporting event since the Nun Run, Sister Monica Fumo, SCSJA defeated Father Mike Marco, SJ in the Holy Rollers Bocce Tournament. Father Mike came into event day with a strong lead in the votes. Then, just as Sister Monica began to move ahead, the supply of mini bocce balls sold out! Unwilling to yield, the fans began stealing votes from Father Mike! Sister Monica took home the trophy for now, but stay tuned to our Facebook page for the next leg of competition. Thank you to all of those who joined us, and to our event sponsors at Festa Italiana and Peter Sciortino's Bakery! We hope to see you next year on July 18, 2019. Interested in sponsorship opportunities for CaNUNoli Fest 2019? Contact us any time at (414) 274-4728 or via email.